A team of talented Year 6 students from Chudleigh Knighton Primary School have been picked by Devonshire Homes to exhibit their artistic talents in a competition to win a prize and art supplies for their school. 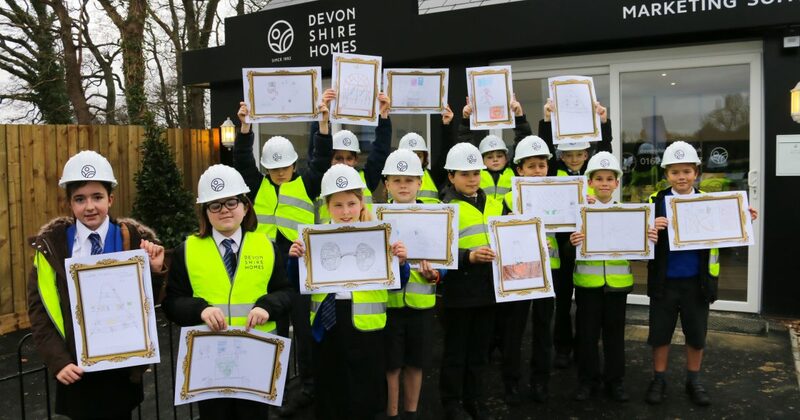 Devonshire Homes took the group of school children for an exclusive tour of the house builder’s brand new show home in Bovey Tracey at its development named The Tors. Students were then challenged to display their artistic talents and draw a picture of the show home, which will then be judged by attendees to Devonshire Homes’ VIP event on 25th January. 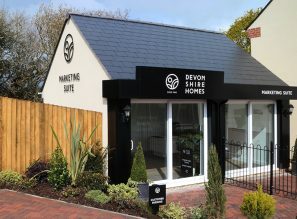 The West Country housebuilder will announce the winner at their VIP event, and the lucky student will receive a £50 book voucher, a donation to the school for art supplies, and their picture will be proudly exhibited in the front of Complete Estate Agents’ window display in Bovey Tracey. Students will be drawing the generous three bedroom ‘Marshall’ show home which offers a light and airy open plan kitchen/breakfast area, and a separate living/dining room and plenty of storage space. The detached property also features a spacious family bathroom, invaluable en-suite to the master bedroom, external garage, integrated appliances, lush green turfed garden and high specification interiors throughout. “As a school we are keen to take an interest in local community news and projects. The key stage two children who participated in these activities were highly enthused to be involved in the competition. The visit to the show home gave them insight about the property market and local new-build housing developments. In addition, the experience will be used as an opportunity to develop fundamental English, art and design technology curriculum skills back in the classroom. We would like to thank Complete for involving us in this exciting opportunity." Released in phases, The Tors will offer a selection of 2, 3, 4 and 5 bedroom homes which blend traditional construction techniques with contemporary styling. The Tors is conveniently located on the “Gateway to the Moor”, with far-reaching views and easy access to Dartmoor. The development is near to a wide variety of local shops and amenities and is also just 15 miles from Exeter city centre. Only 2 miles away is the Devon Expressway – perfect for commuting to Exeter and Plymouth. 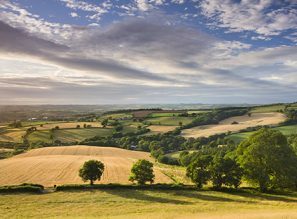 Devonshire Homes is a proudly Devonian company and works closely with local communities, councils and key stakeholders to build better homes for local people in Devon. All Devonshire Homes’ new homes sites are individually designed to create bespoke new neighbourhoods, which are sympathetic to their locality, reflecting and celebrating the characteristics and style of their surroundings. Currently available at The Tors is a selection of two and three bedroom homes. Prices start at £220,000. Help to Buy is also available.